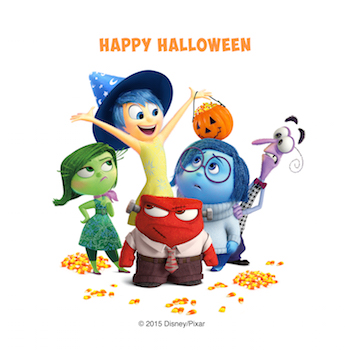 And, your friends of Disney•Pixar's Inside Out want to celebrate with you! As you attend or prepare your Halloween parties we have these recipes that will really call for a party in your mouth! Inside Out arrives on Blu-ray 3D™, Blu-ray™ Combo Pack and On Demand November 3rd! As you get ready for treats - no tricks, we have these really “ghoul” activity sheets to share with you! They include: adorable and affordable DIY character costumes, DIY Bing Bong candy bags and signs for all your Halloween festivities!